Every generation has its poet. In the early eighties, the poet of that decade, Cazuza, emerged with a whole new sound and strange new words which revolutionized rock and roll in Brazil, a country that was about to break free from twenty years of military dictatorship and was hungry for freedom of speech. The year was 1982. It is difficult, in these days of hurried communications, for some to understand what Brazil was going through. Its citizens saw ugly times when artists and intellectuals were thrown in jail or forced into exile simply for speaking their minds. Composers played with words to confuse the censors and to assure their songs were released. Three years earlier, military President Joao Figueiredo had announced a total amnesty to those who had, in the days of the military intervention (1964), "conspired against the country." Not only that, but the press was also freer, and general elections, which hadn't happened for ages, were called during that year. In those times of changes a new band, Barão Vermelho (Red Baron, named after the famed WW1 fighter pilot) released their debut album. On vocals was Agenor Miranda Araújo Neto, best known for his nickname, Cazuza. The record had a savage sound not only because of the band but also because of a poor quality Recording. But soon the band garnered thousands of fans, despite of the fact that radio stations refused to play the record. 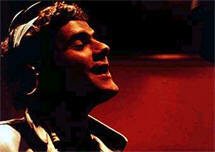 The song was hailed by Caetano Veloso, one of Brazil's most important composers and also one of Cazuza's idols. Veloso himself criticized radio stations for not playing the band's songs. 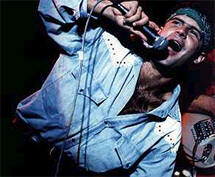 In 1984, Barao Vermelho released a third album, which was the group's most successful until then. Numerous were the hits, but the sound of the band reflected a more commercial bent than it had. One of its biggest hits, "Bete Balanço", was composed for a long-forgotten film with the same name. 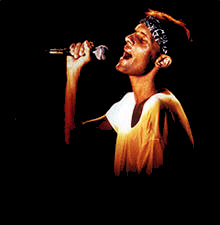 The film, however, lifted the band to national fame, and in January 1985 it participated in one of rock's largest events, the Rock in Rio festival. There, a large number of bands congregated to produce ten days of music. Some of the major attractions of the festival were the late Freddie Mercury's Queen, Al Jarreau, Iron Maiden, AC/DC and others. Barão Vermelho, barely three years old, was making rock and roll history. Cazuza, however, was not satisfied. Being an only child, he was not at ease sharing the glories of fame with his bandmates. In July of 1985, Cazuza left the band's mike to lead a highly successful but short solo career, while Barao Vermelho flew on their own. The split was, however, a friendly one, and the songwriting partnership of Cazuza and his former band mates went on. Even today, ten years after his passing, Barao Vermelho guitarist Roberto Frejat occasionally puts music to Cazuza's unreleased poems. His first album, simply labeled "Cazuza", sounded lighter than most of the band's albums, but nevertheless had the familiar flavor Cazuza and his band. The song was censored and subsequently forbidden for public performances. Not until 1988 did Cazuza perform the song again, once censorship was banned that year. At that time, he fell ill and was subsequently tested for AIDS, which came in negative. At that time, as we all know, tests weren't as precise as they are today. His subsequent album , "Só Se For A Dois"( Only if It's For Two) was a huge hit, and Cazuza was finally recognized as the talent he had. At that time, however, he already knew he had AIDS. Before starting the "Só se for a dois" tour, he had again fallen ill and had taken a new test. The confirmation of the virus would both transform his life and career. 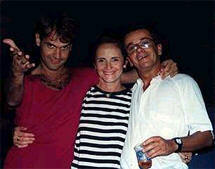 In October 1987 Cazuza was again hospitalized, so his parents decided to take him to Boston to undergo AIDS treatment. 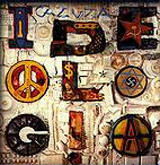 He spent two months there, and on his return he recorded one of his most important works, "Ideologia"(Ideology). The cover of the album mixes swastikas, David's star and peace signs, illustrating the confusion of the singer's mind and also to look provocative. On the other side, a picture of a much thinner Cazuza - a result of his illness. By that time, he had already admitted he was gay. He then went on a successful tour, which had as result packed theaters and increasing sales of "Ideologia" - which reached 500,000 , a high number for local sales. The tour was a trying one. In the meantime, he finally publicly admitted that he had AIDS (the first Brazilian artist to do so), which came as no surprise to his fans. After his last performance, in Recife, he returned to Rio in a wheelchair, and not giving in to his illness, he began work in a new album, which would be his last, to be named "Burguesia"(Bourgeoise). 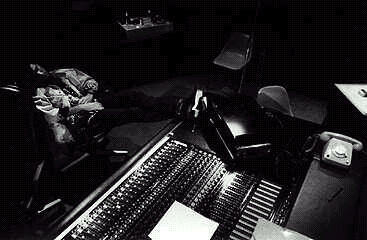 He was well aware that his time was limited, so he gave his all into the production of the album. He sang laying on a couch, since he didn't have enough strength to stand up. The result was a double album with aggressive new songs on the first and covers of some of his favorite Brazilian composers, such as Caetano Veloso and Herbert Vianna. His voice sounded as hoarse as ever, and in some of them his voice is almost inaudible. Cazuza (left) with his mother and Ezequiel Neves In the words of the producer, Ezequiel Neves, "The recording studio technicians acted horribly. As he sang lying down, the microphones were terribly misplaced, since any day could be the last one and the record might never be released. It was a, to put it bluntly, cruel production. I can only find comparisons in inaudible works of art such as, for example, Ornette Colleman's Double Quartet and Lou Reed's Metal Machine Music." The cover showed an almost unrecognizable Cazuza: almost skin and bone, and with a tired face. The record is, indeed, a document made by someone who simply would not give in to death, but musically, it is something only for die-hard fans. The title song attacked middle-class values, but, due to its sound, did not become a hit. Critics were, however, respectfully silent, and did not trash the album. In October 1989, after a four-month alternative treatment in São Paulo,Cazuza for the last time went to Boston, where he was hospitalized until March of the following year. His health was already extremely delicate and at that stage there was not much that could be done. Thus he died, a little later--on the 7th of July, 1990. Not long after his death, Polygram released yet another album, comprised of leftovers from the mammoth "Burguesia" sessions with some other unreleased songs. Of course other posthumous releases followed, a couple of tribute albums came out over the years, and some unreleased songs were recorded by numerous singers. More recently, the flamboyant Ney Matogrosso recorded yet another new Cazuza-Frejat song. Cazuza's legacy is a broad one. His music is still very popular and inspires both new and established artists nationwide. His former band, Barão Vermelho, is still highly active after eighteen years and has just released an MTV-produced ballad album and is presently on tour. Shortly after Cazuza's death, his mother, Lucinha Araújo, set up an officially registered non-profit organization called the Viva Cazuza society. Their goal is to "direct help in all areas towards the assistence of HIV infected patients". The Viva Cazuza society is maintained by royalties from Cazuza's songs and by donations from anyone willing to help.